Are there any specific facilities for disabled supporters? There are also dedicated access stewarding teams with specialist training who will be present at every game. 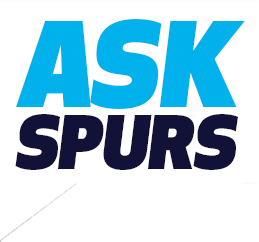 Is the Tottenham Experience/Club Shop? Yes, the Tottenham Experience is fully accessible and was developed in collaboration with our Stadium Disability Inclusion Group, a pan-impairment group. Are the food/drink outlets accessible? Yes, all outlets are accessible by wheelchair as the counters are all lowered. Are there accessible toilets in the stadium? Yes, all 66 accessible toilets can be accessed using a RADAR key that staff will be equipped with, although for ease of use supporters are encouraged to bring their own. Supporters who do not have their own key are able to obtain one from their local authority. I have a non-visible disability. Can I use a RADAR key to use the accessible toilets? Yes, we understand that not all disabilities are visible and have installed signage on all toilets stating this so as not to discriminate. Do you have a Changing Places facility available? Yes, the stadium is equipped with two Changing Places facilities, with a further facility available in the Tottenham Experience. Are charging points available for wheelchairs? There are charging points available for powered wheelchairs only. For safety reasons we are unable to allow the charging of motorised scooters. There is a Sensory Room in the stadium which has been designed to assist those who have sensory impairments. This dedicated sensory space will enable your child to get a controlled exposure to the environment. Please contact the Access Team via email at access@tottenhamhotspur.com or contact us on 0208 3655161 to discuss individual requirements. Please note that access to the room is subject to application and availability.